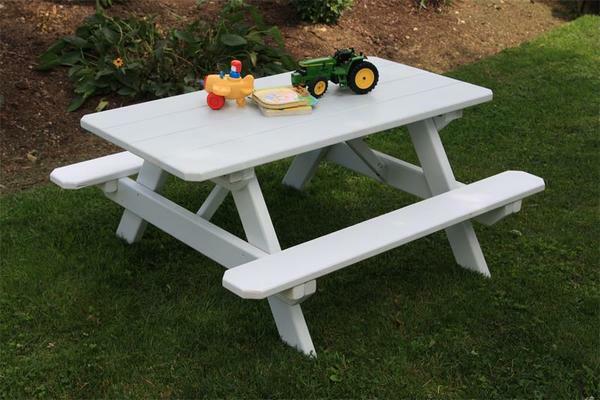 The Amish Yellow Pine Kid's Picnic Table is just right for outdoor fun for little ones! Move the play doh, finger painting, coloring, board games and snacks outside on a beautiful day with this pine outdoor furniture providing the seating. Little ones will love having a table just their size. Handcrafted from Southern yellow pine wood, this durable table is Amish made to withstand the rigors of all weather conditions.